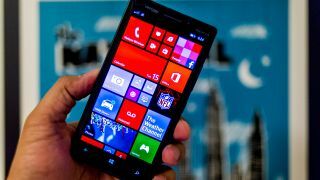 The number of apps in the Windows Phone store has nearly doubled in the past year, Microsoft has confirmed. The firm announced the app catalogue had swelled to 300,000 as per the end of June 2014, up 94 per cent on a year ago. That's an increase of 100,000 in the six months following December 2013, when the tally stood at 200,000. In even better news for fans of the Live Tile-powered operating system, the number of active developers has also grown by 50 per cent. While the numbers will be a boon for Microsoft and it's userbase, it's perhaps the type of apps arriving in the last few months that shows the greater promise for the third-placed OS. FitBit launched on the platform last month making its wristbands, such as the FitBit Flex, the first popular fitness trackers to be compatible with Windows Phone. BlackBerry's BBM app also arrived in Beta form, while the popular ride-sharing app Uber also launched on the platform. Most users would prefer quality over quantity, but it seems Microsoft could be on the way to having both.